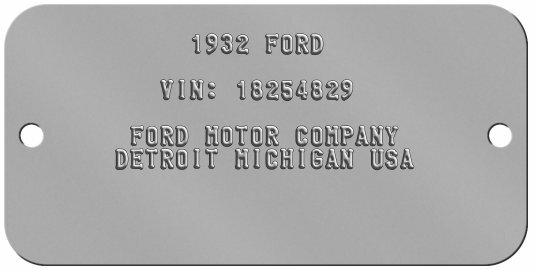 CR-50 sized embossed steel nameplates are ideal for identifying vehicles such as cars, boats, trailers, RVs, Jet Skis, aircraft, etc. Ideal for automobile collectors and car restorers, these can replace old VIN tags on vintage cars or for custom built hotrods. 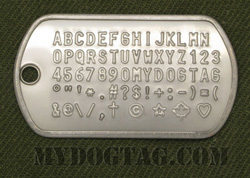 Customize to Buy your Vehicle Tags now! All orders are shipped within 1 business day and are usually delivered within 1 week (in North America). If you need any assistance creating or ordering your Vehicle Tags please contact us directly, we are here to help!